Home / Competitions / hotels / Fancy winning a night, dinner & massage at The Chedi? Fancy winning a night, dinner & massage at The Chedi? It's a summer of free stuff for you blog readers isn't it? Hotel rooms a plenty, gig tickets and more. The lovely people over at The Chedi are offering you the chance to win a free night for two (as part of their Chill at The Chedi summer offer for Residents of Oman only) with breakfast, OR free dinner (minus booze, but including soft drinks) at The Restaurant, OR a two 90 minute Balinese massages, and your choice of a 30 minute treatment (choose from an Aromatic Steam Bath, a Thai-Style foot thing, or an Organic Naturelle D'Orient cleansing facial). 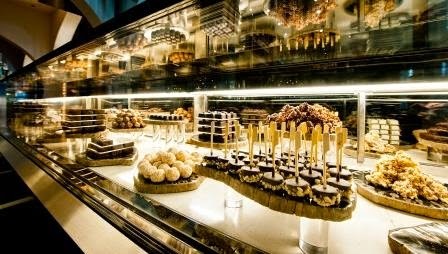 And on top of that a further 30% off Spa treatments and 20% off any additional food and drinks. I should point out that as standard, all rooms at The Chedi have complimentary "mini" bars that are restocked fully every day. Now, the deal works pretty simply; myself and some other local bloggers are asking questions, mine is below, and you just need to answer it correctly as a comment (no emails this time), and leave your name and email in the comment too. That's it! They're offering one of these prizes to 3 lucky readers across all of the local blogs participating. So you could win a night, you could win dinner, or you could win the massages. I don't know about the other bloggers, but I'm joining in on this bandwagon of giving away free stuff because I like to, and the Chedi people bribed me with chocolates. They're really very good. 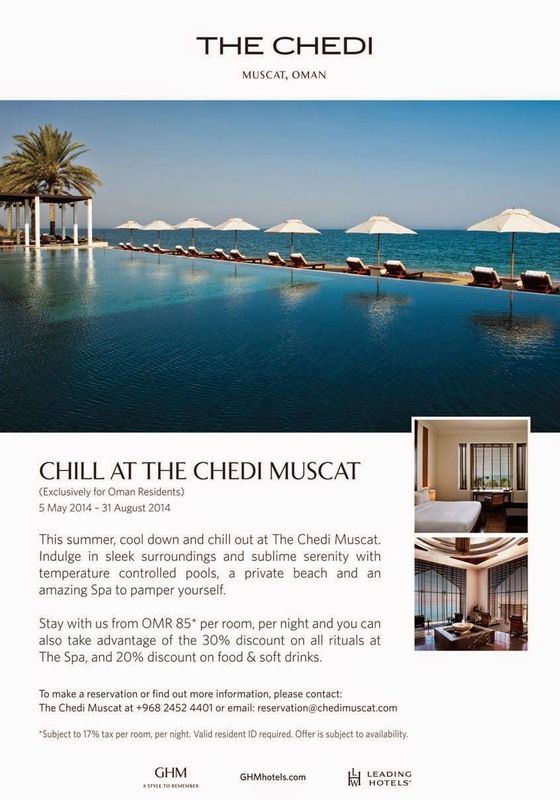 If you don't win one of the 3 prizes that are on offer, you could always console yourself by taking advantage of The Chedi's very attractive Chill at the Chedi summer offer for residents of Oman with a room on offer for RO 85. Bon chance... the winners will be announced next Tuesday - be sure to check The Chedi's Facebook page for updates! And it's not just the Candian's that would catch that - anyone who watched HIMYM would catch it eh? "This sublime yet central location equally suits leisure and business travellers while six distinct restaurants, a just opened thirteen-suite Balinese spa, three swimming pools, including the 103-metre Long Pool, 400-square metre health club plus two executive meeting rooms enhance Muscat’s considerable cultural attractions." Correct answer is A: 103 meters long. it's A 103 meters long, probably the most beautiful thing I have ever seen. A. 103 m of pool... Awesome.. The fabulous pool is A. 103 meters long. What they said - 103 m long. The answer is A) 103 meters. Oh man, I want this....hoping I am not too late. The answer is 103 metres. Here's hoping......and if not we will still drop by for a wine on the weekend! 103 metres is the length! The pool is 103m long! its 103 m :) Rebecca at nelson.rebecca@gmail.com :). 103m long...and looks rather lovely! Who wouldn't? :) Great idea, it is the best hotel in Muscat! I would be interesting to see the numbers i generate with the summer holidays being so close. The answer's A) 103 metres long!